Since the beginning of this month Google has been allowing access to its android app market for non-Android devices via http://market.android.com. Unfortunately when accessing the app pages with a non-android device there’re no QR codes for the apps, so getting the app to the device is pretty cumbersome. 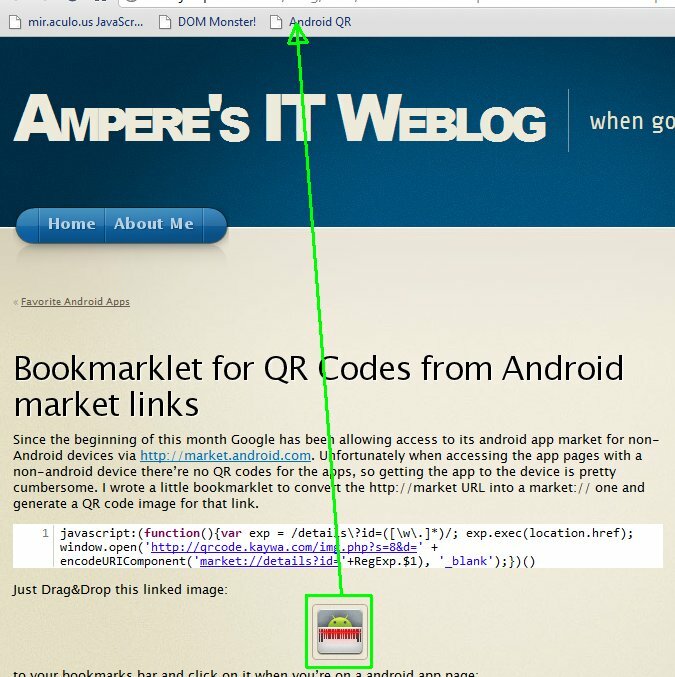 I wrote a little bookmarklet to convert the http://market URL into a market:// one and generate a QR code image for that link.